The actual statistics are hard to obtain but anecdotal evidence suggests that about two yachtsmen die every year from mast climbing accidents. The following will assist to minimize the risks. Visually check the bosun’s chair or harness is in good condition. Do not to put all your trust in one halyard. Select two halyards. 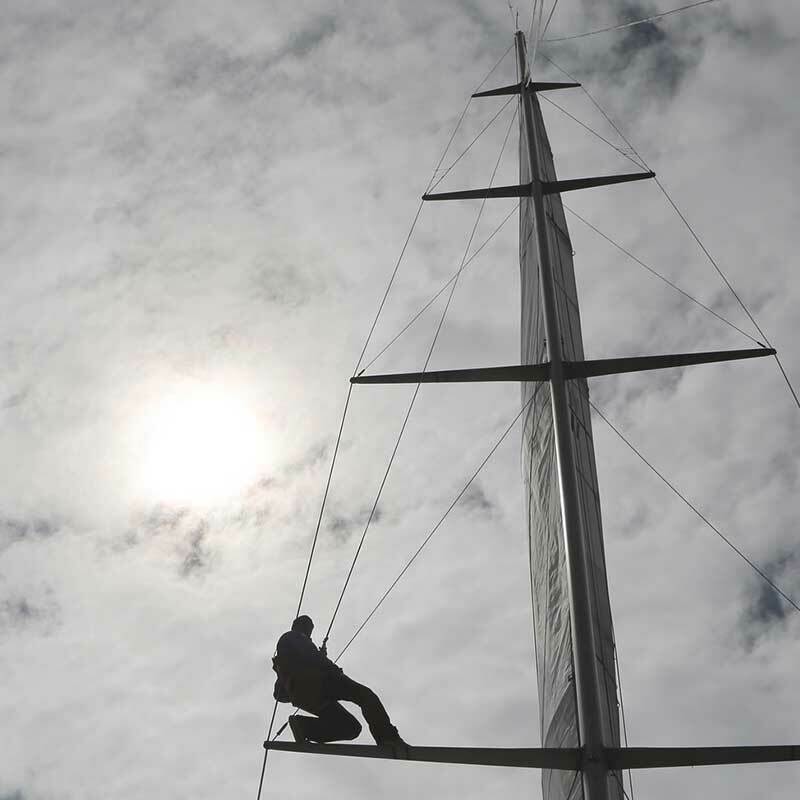 If working on the front of the mast they should be halyards from the front of the mast. Do not put all your trust in snap shackles. A bowline is better in rope halyards, and if working with wire, a twist shackle. The climber should make these connections personally. The climber should assign two trusted people to control the halyards during the climb. Sometimes the climber will physically climb and at other times the halyards will need to be pumped or wound on winches. In any event as far as possible keep both halyards taut. 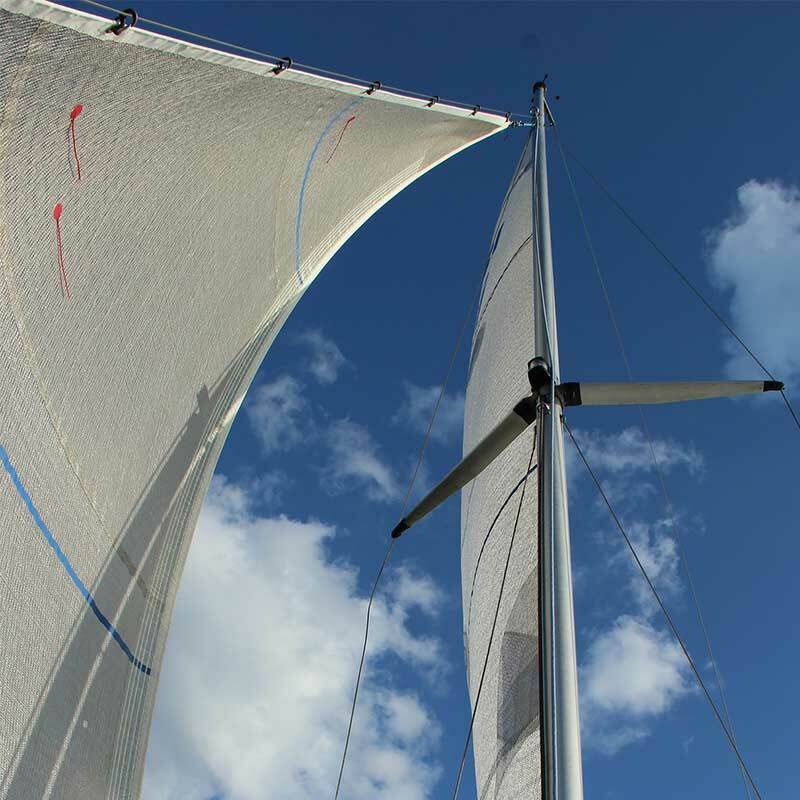 The climber should make use of mast/shrouds / taught halyards to steady the orientation. At least one of the halyard controllers must look up at the person in the chair anticipating troubles before they occur. A two metre safety line between climber and mast of 6 or 8mm diameter line can be used. 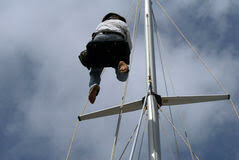 Tied tight around the mast it can be slid up or down manually but won’t slide down if weight is thrown on it suddenly. At each stop on the way up or down the mast keep your safety line attached and have halyard controllers tie off the halyards. Keep clear below. If you are working below the climber for any reason wear a safety helmet. While the climber is at the top of the climb, the halyard controllers should flake down their halyards ready for a tangle free descent. When the climber is ready to come down the halyards must be untied without losing any tension. 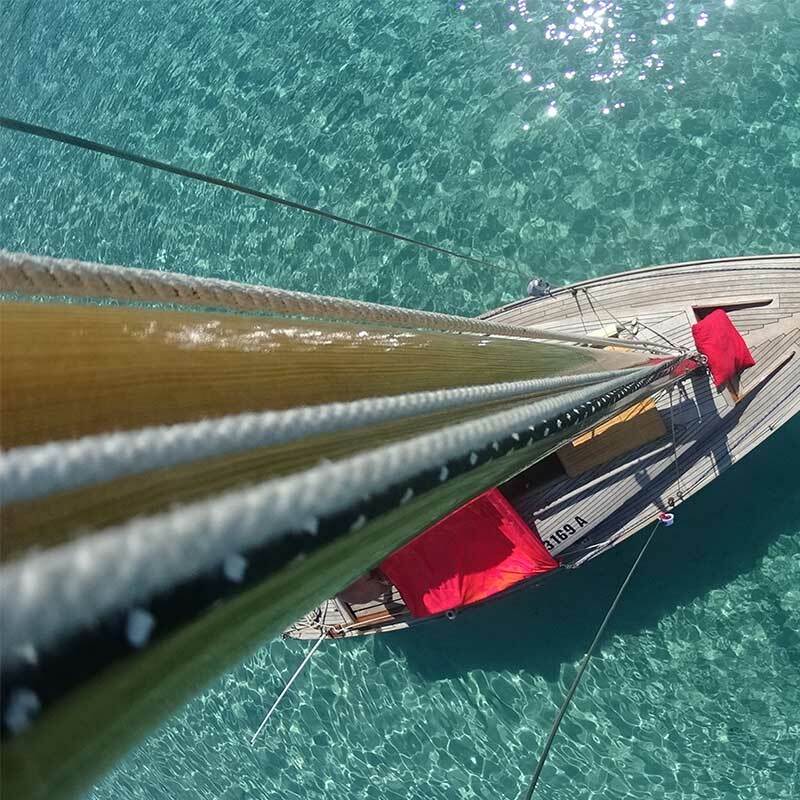 It’s disconcerting to be dropped even a few inches when the halyards are released. The primary halyard should take the weight while the other is kept slightly slack. The reason for this is friction. As the climber descends the halyard is eased out smoothly. It must be released under full control without binding on the winch. Two turns on the winch are the maximum needed, one is usually enough. Too many turns will cause the halyard to stick, resulting in a series of bounces for the person in the chair.